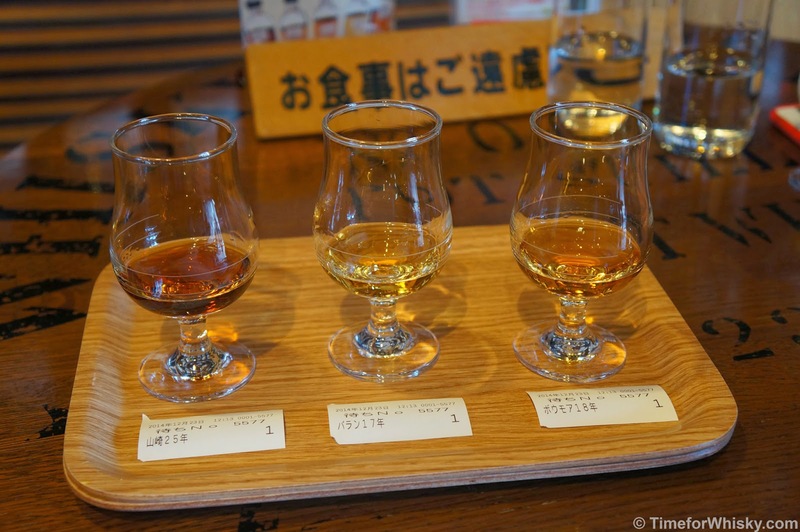 So when we visited the Yamazaki Distillery a week or so later, we made up for it, including, conveniently, two #101drams whiskies (for a combined total of $7AUD / $43HKD). 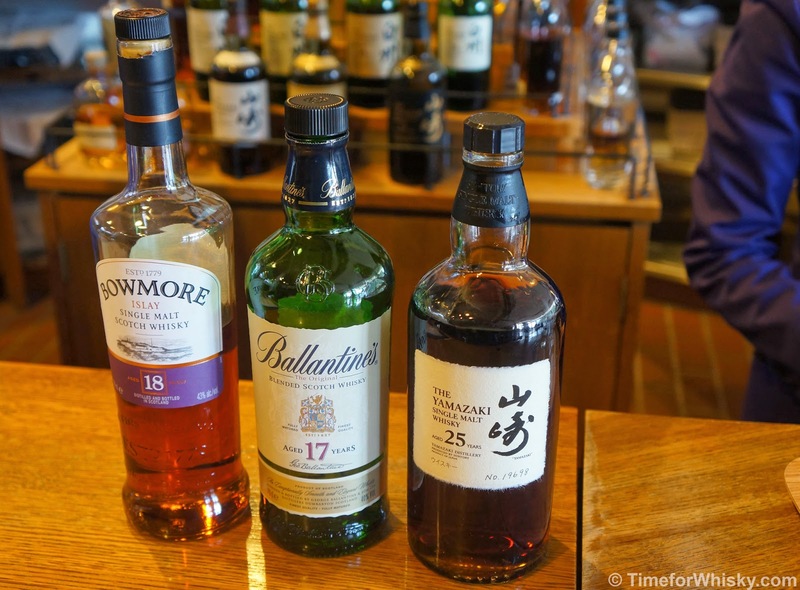 ...but before those, it would have been rude not to try the malt made at the very distillery we'd just visited...and heck, while we're at it, why not try the entire standard age range - 12, 18 and 25? When the 25yo is around $25AUD ($155HKD) for a dram, why not indeed? Nose: Rich sherried notes. Christmas cake, with strawberries on the side. Palate: Thinner than expected. Spicy. Slight peppery. Quite malty and slightly oaky. Finish: Long and dry. Some leathery notes. Rating (on my very non-scientific scale): 89/100. Very different to the 12. More complex, without a doubt, but I think I prefer 12 overall. Colour: Dark, dark (DARK!) copper. Look at it! Nose: Rich thick chewy Christmas cake. Raisins soaked in sherry for days. Put simply - Christmas in a glass. Palate: Slightly earthy at first. Then raisins and fruit compote, and still loads of Christmas cake. This dram has soaked up every inch of Sherry notes from the cask over its long 25 years. At a guess, I'd say ex-Oloroso. Finish: Drying, oaky, with some malt. Medium to long finish. Dry to the end. Rating (on my very non-scientific scale): 91/100. Not an every day dram. Big, intense, special. All the hallmarks of a big sherry bomb. Nose: Bananas at first. Then sherbet and strawberries, with a slight mustiness. Palate: Smooth and oily. Light on the palate. Malty, with a slight taste of...Sao biscuits?? Finish: Short to medium length, slightly spicy. Nose: Equal parts peat smoke and seaweed. Like a campfire on the beach. 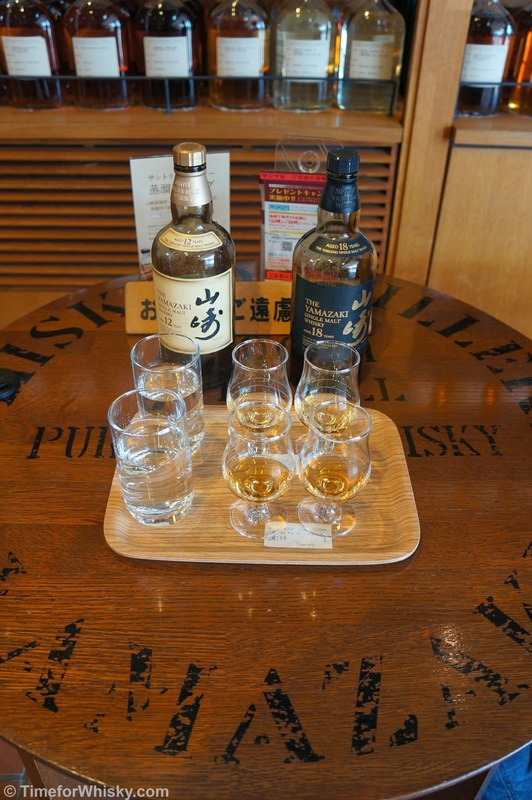 Palate: Muted peat, and very sweet - honey and caramel, with hints of vanilla and crème brûlée. Finish: Some initial floral notes, ending in a long, sweet finish with a hint of peat. Rating (on my very non-scientific scale): 93/100. A beautiful dram - could easily double as a daily sipper or a special occasion dram (depending on your wallet)! ...but I also wrote down the wrong rating, whoops! Fixed now - 93 (not 98)!